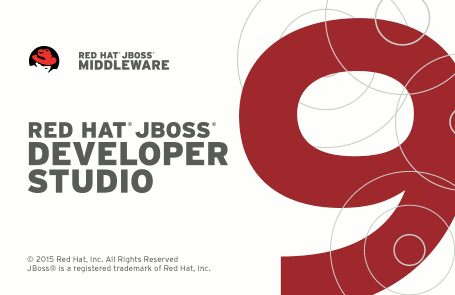 This article will outline how to get started with the JBoss Data SOA 5.x tooling and JBDS 9. 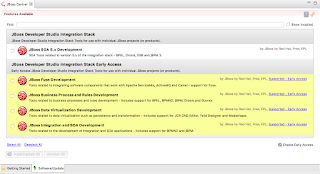 You will notice that there are no other JBoss Integration stacks offered to install upon first inspection. 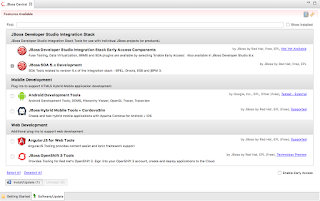 This is due to, at the time of this writing, the other integration stacks being early access. 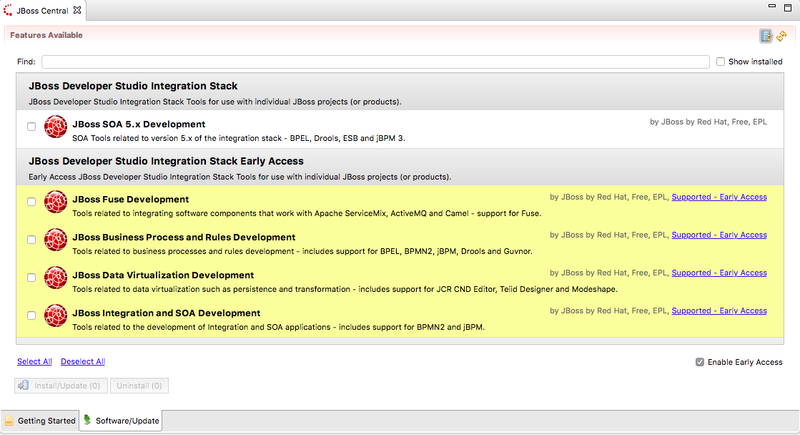 Other stacks are available as early access at this time. 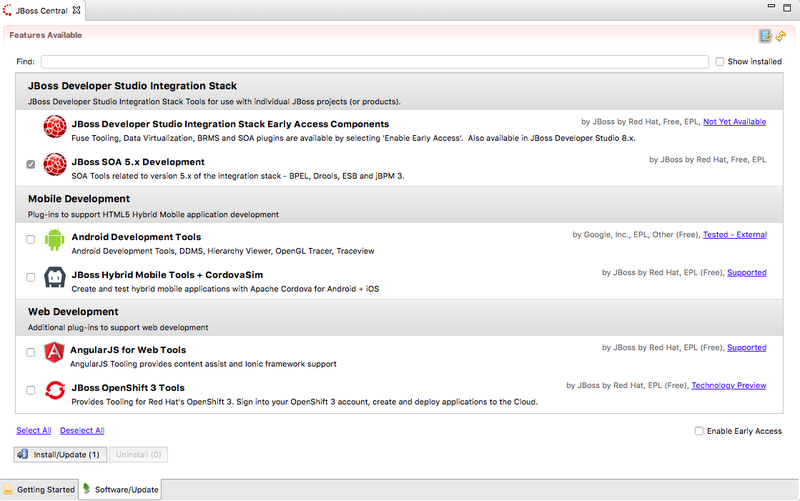 This will reveal the integration stack tooling offerings and we will select JBoss SOA 5.x Development.